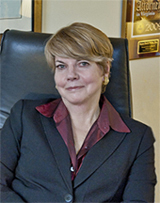 Susan Davis White is a Charlottesville attorney specializing in Family Collaborative Law, an alternative approach that helps divorcing couples resolve disputes respectfully and equitably without going to court. The traditional approach to separation and divorce is often much more adversarial, expensive, and time consuming than it should be. Families are often devastated by the legal process. Many couples now pursue the collaborative law approach because they want to maintain friendly and respectful relations after the divorce, often for the sake of the children. Family Collaborative Law can help couples resolve disputes, keep families on speaking terms, and ensure that the individuals involved retain control of the process. Please contact me at familycollaborativelaw@gmail.com or 434-977-0563 if you’d like more information about how Family Collaborative Law can help you. Recently another collaborative lawyer and friend of mine, Lynn Bradley, and I went to Chicago to attend the 13th Annual Networking and Educational Forum which is the annual meeting of the International Academy of Collaborative Professionals. Over the four days I was there I concentrated on the financial aspects of divorce – especially the difficult issue of spousal support. One of the workshops I attended was titled “Collaborative Conversations on Support and Fairness”. Often in my collaborative work we leave spousal support to the end of the process so we can build up a foundation of a series of agreements, and also because a court will deal first with the property issues before support. The model presented in this workshop however suggested the support conversation begin early in the process, the clients being given homework after the first meeting of preparing their budgets. It’s important to get legal advice in the period between the decision to separate and the actual separation. Lots of mistakes are made by relying on the experiences of friends and relatives who may consider themselves experts on divorce. Every situation is unique and must be addressed on its own set of facts. Find a lawyer who is experienced and expect to pay for an hour consultation. The “free” initial appointment some lawyers advertise usually is limited to 10-15 minutes and is certainly not sufficient to understand the specifics of your situation. Most experienced divorce lawyers do not offer a free consultation as they know how important it is to make the first appointment count. If the parties have children, one of the worst things to do is to try to get them to side with one parent or the other. Parental alienation is one of the factors a court will consider when it comes to a final award of custody. It is always in the best interest of the children for the parents to talk to the children together about what is going on, assuring them that they both love them and will continue to have a family, just a family with a different structure. Getting an appointment for both parents with a good child-oriented mental health professional will in the end benefit the whole family. "There is no way I can begin to thank you for all you've done for me and my family over the last year. Your guidance, patience, understanding and compassion were amazing. You provided a stable foundation in the face of a storm. I thank my lucky stars for having you represent me." B.M.